Unless you’ve been living under a rock, you’ll know that JK Rowling’s just brought out a novel, The Casual Vacancy. On the face of it, it’s as different from Harry Potter as night from day. It’s a slice of gritty realism, exploring the impact of the class wars on a pretty English town. But scratch that surface and you’ll find a morality tale, a clash of good versus evil featuring a cast of Dickensian proportions. Just like Harry Potter. JK Rowling is part of a tradition of storytelling that has been somewhat shelved in recent times, with the constant need for publishers to classify books according to genres and the desire for authors to display their literary prowess with artful prose. We have always loved stories and JK Rowling has managed to tap into that ancient storytelling urge, while bringing old-fashioned storytelling values into the modern age. Even the title, The Casual Vacancy, has a retro feel. Here are a few of the ingredients of her storytelling magic. In Writing for Grownups, the BBC interview that was held this week, JK Rowling said she couldn’t understand why the whole world wasn’t obsessed with morality. She uses her characters to explore what motivates characters to do good or bad. Her characters aren’t just black and white stick figures; they are a complex blend of vice and virtue. But as in the best fairy stories, good always triumphs. Like Dickens, Rowling’s tales are populated with a large cast of characters, representing every shade of the social spectrum. Their antics are presented by a God-like narrator who can see around corners. This narrative technique can be slightly distancing; you never quite feel you get inside the heads of characters. That’s probably why it’s become less popular. But ultimately, in Rowling’s stories, there is a central character you can get your teeth into. In the quest to create compelling characters and convey an important message, authors these days often forget about the value of just telling a straightforward story. A story that hurtles along at a crackling pace and carries you with it until you come back to earth. That’s what Harry Potter was and The Casual Vacancy promises something similar. I have to confess I’m cheering at the release of The Casual Vacancy. As I said previously, the realistic novel is slowly regaining popularity. 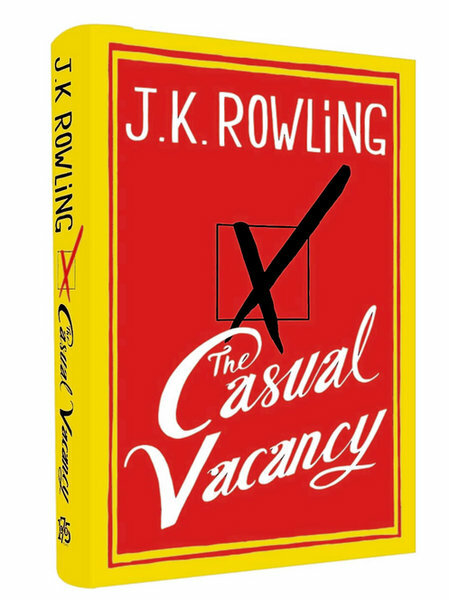 The release of The Casual Vacancy is likely to cement that popularity. After a long period of doubt, readers who enjoy big-hearted stories about people like us will be rewarded. 50 Shades of Graig – the book industry’s quiet revolution on the banks of the Nore. http://ow.ly/dTcFJ I’ll be there! There is a single, solitary copy of The Pink Cage in the new pop up bookshop in Tramore. Please rescue it from its isolation! I have a journalistic background and I use this to offer a press release writing service, with the aim of giving people the keys to the kingdom of the media. My background in journalism and my experience with businesses has given me some perspective on what gets you results in the media. Journalists have a love hate relationship with press releases. They know they need them to fill those white spaces, but they wish they didn’t need them. They do like press releases about new books, especially if you give them a review copy. But they view most business press releases with disdain, seeing them as little more than a plug. I wrote two press releases this week. The business owners I wrote for were fairly typical of people who want press releases; they liked the idea of being featured in the media and they wanted immediate results. But to achieve that, they needed to figure out what their story was. Three types of press releases attract journalists’ attention. Ones with a solid, current story, like a new business opening, an award win or a new range of products. 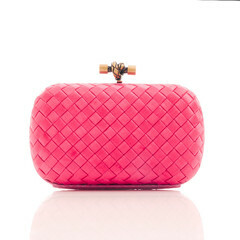 The press release for Lucy Nagle Handbags fit that category. It’s a new business, with a pop up shop opening in December. The second type ties into a topic that’s trending in the media. Funky Goddess’s products tie well into the parenting slots and supplements that appear every day in the media. I slipped in a tweet to a national radio show where the presenter was talking to a child psychologist about a girl who was entering puberty earlier. A product that celebrate periods is bound to cause a bit of controversy – and that’s exactly what happened. And the third press release type, possibly the most successful of all in our visual age, is the picture press release, where you just send in pictures with catchy captions. Both businesses had great scope for this. The pictures tell a more powerful story about their products than words ever could. Pictures are handy for journalists, because they fill stubborn corners of white space left over after articles and ads have been slotted in. Creating a press release is a partnership process. For both businesses, I asked the owners questions to help me pinpoint the news angle. These questions aren’t meant to be homework, but if you show your enthusiasm for your business, it’ll be a lot easier to create a memorable press release. I also asked the owners to check the releases when they were done, to ensure that they tied in with the message they wanted to put across. As for getting results, the media isn’t the silver bullet that people think it is. You need to cultivate relationships with journalists just as you would your customers. And social media is proving to be a brilliant way to do that. Not only are journalists on social media, but they are actively using it to find stories. Samantha Kelly of Funky Goddess is a Twitter whizz (@funkygoddessirl) and she’s keen to make an impact in the UK. I sent her a list of 10 UK journalists to follow on Twitter. This will let her bypass the wall of gatekeepers that surround journalists and communicate with them directly. It’s still not a guarantee of immediate results, but you’ll get results a lot faster than trying to approach them the traditional way. Enter your email address to get the latest World of Writing blog posts delivered straight to your inbox. Mental health news, reviews and all things funny. I love to share my interest, story, passion and lifestyle.. Every picture is my personal picture.. Hope all of you enjoy it..
She blogs...on books, writing and film...and on a few of her favourite things!